And so, I bring to you a look that took me less time than I normally spend on a full eye look. 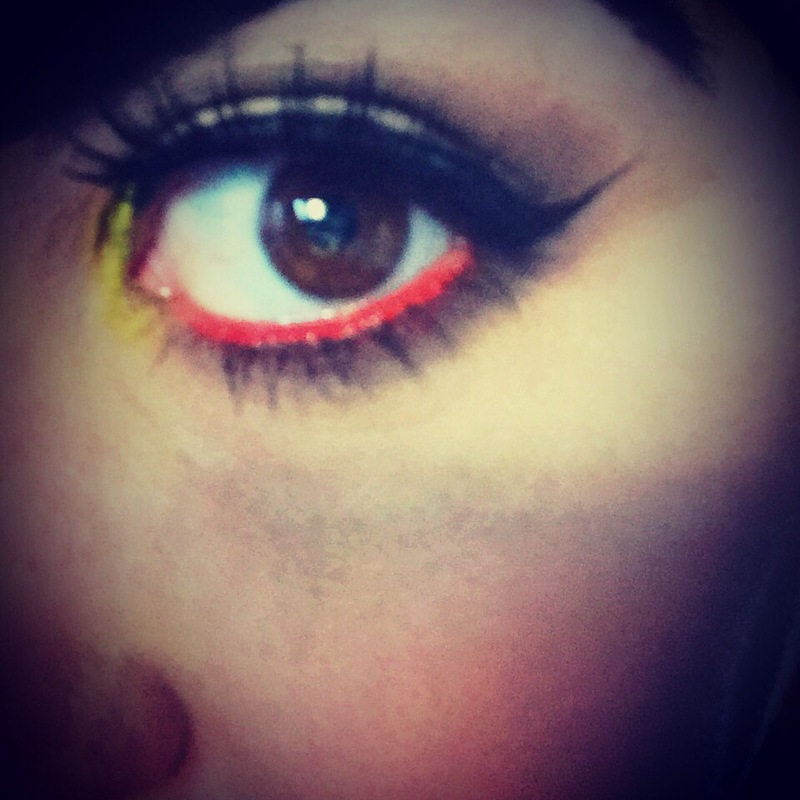 What made this eye-catching look so easy is the use of an actual lip liner in the waterline instead of an eyeliner! In fact, I love this look so much I might be grabbing a ton more lip liners just so I can use them in my eye looks! What is different about using the lip liner? For starters, the lip liner in the water line seems to stay MUCH longer than any eyeliner pencil or gel liner I have ever used. What’s more, the lip liner is smoother to apply! However, this could be because of the formula of the Super-Saturated High Gloss Lip Color. I plan on grabbing a few more of Urban Decay’s glide-on pencil liners, as well as some from this saturated line. So stay tuned on how well these work with other looks! I don’t know about you, but I get giddy over a product that turns out to be multi-purpose. After all, this just means that more room is left in my kit for more goodies!